As the Jewish year 5770 draws to a close, it’s time to take a look back at the year that was. First up is your top ten comics for the year. 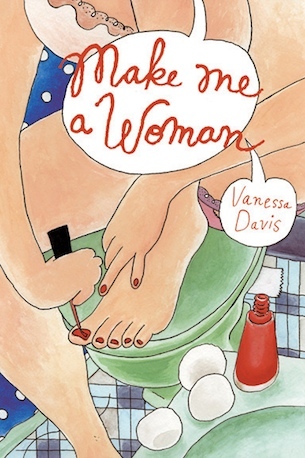 From barfing on the bimah to having a blast at fatcamp to playing hangman during High Holiday services, Make Me A Woman collects Vanessa Davis’s autobiographical strips lovingly rendered in gorgeous watercolor as well as addictively adorable black and white diary comics. “Funny first, Jew-y second” is how we like it at Heeb, and Vanessa follows that dictum to a tee, depicting herself pondering such highlarious notions as “which is a grosser purchase: condoms and tofu or toilet paper and an OhHenry bar?” Vanessa recently collaborated with the late Harvey Pekar on a story called “Jewish Chops” for The Pekar Project in which Harvey gets in trouble for saying “Good Yontiff” on Shabbos. Like Harvey before her, Vanessa mines the mundane for magic with wisdom, humor and pizazz. Reader Poll: Is Karolina Miadovicz Kosher or Treif?